A 21-year-old from Tredegar is encouraging pupils from his former secondary school to consider apprenticeships as a chosen career path. Josh O’Leary, a Recycling Operative at ELITE Paper Solutions (a Social Enterprise), attended Bishop Hedley RC High School until he was 16 years old. He wanted to stay in the local area and knew he wanted to gain professional qualifications. Josh struggled with the traditional classroom learning, so after leaving school he looked into more practical ways to gain qualifications. He applied for the apprenticeship with Merthyr-based ELITE Paper Solutions. Josh has now completed his Level 2 Warehousing Apprenticeship, and is working towards a Level 3 Warehousing Apprenticeship with support from People Plus training. 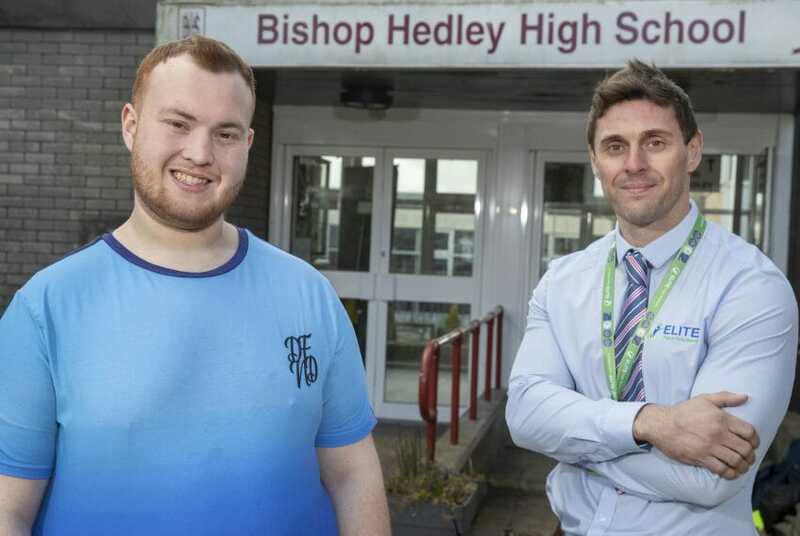 Josh says his apprenticeship has been the stepping stone he needed to enter the world of work and hopes his experience will show pupils at Bishop Hedley that apprenticeships can be key to career success. Josh said: “After school, I knew I didn’t want to pursue further education, so I looked into other options. When I saw the apprenticeship with Elite Paper Solutions I couldn’t wait to get started. “I started my apprenticeship in April 2017 and since then, every day I learn something new. Throughout my apprenticeship, I’ve learnt how to operate machinery for confidential shredding and household recycling, and I’m starting to manage small recycling projects. Josh is hoping that the qualifications gained through his apprenticeship will help him to progress, and eventually lead to promotion within the company to a supervisory role. Ian Thomas, Enterprise Manager at ELITE Paper Solutions said: “Josh started with us in April 2017, and he’s developed so much since then. His confidence has drastically improved, and he’s become a very dependable member of staff whose role is integral within the warehouse team. “For us, the valuable work opportunities we offer through apprenticeships are the most cost-effective way of giving employees of all abilities a chance to thrive in the workplace, while they gain the skills our business needs to deliver the high-quality services our customers expect. The Minister for Economy and Transport, Ken Skates said: “Josh is a perfect example of someone who has used an apprenticeship to gain the skills they need to get ahead in life. In visiting his former school, Josh is giving the apprentices of the future the knowledge and encouragement to ensure they make an informed decision when thinking about their career paths. Women in FinTech: time to consign the concerns to history?